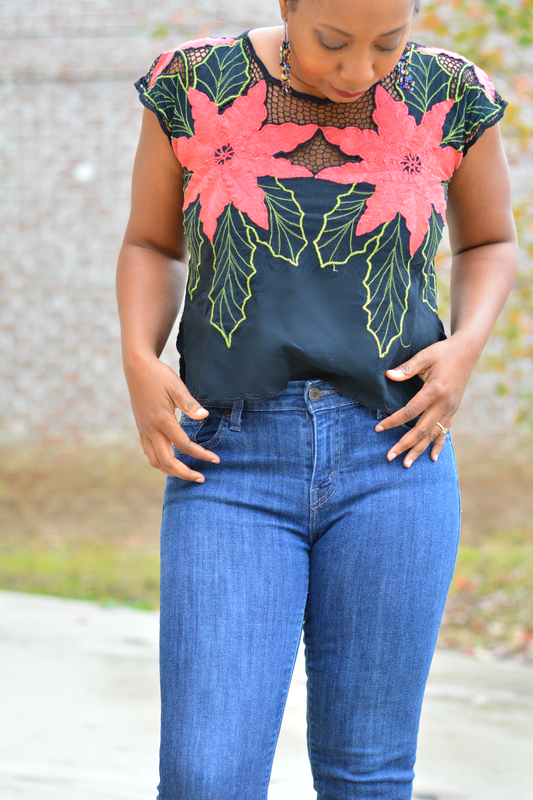 I found the poinsettia top in a small thrift store in Alpharetta that just so happen to be having an end of season sale. Fishnet and poinsettias??? I absolutely must have it. I did an inner squeal when I saw it. Always a good sign when sorting your yays from your nays before final checkout. I did not plan on so much belly button exposure. I should have reached for the higher waist jeans. If you have a long waist then you know of this struggle. 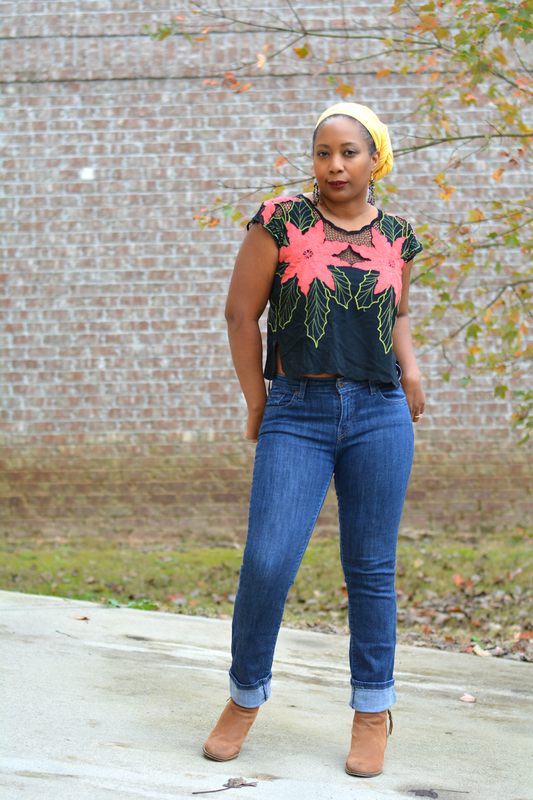 The festive flowering adds some interest to a pretty simple everyday look of jeans and ankle boots. 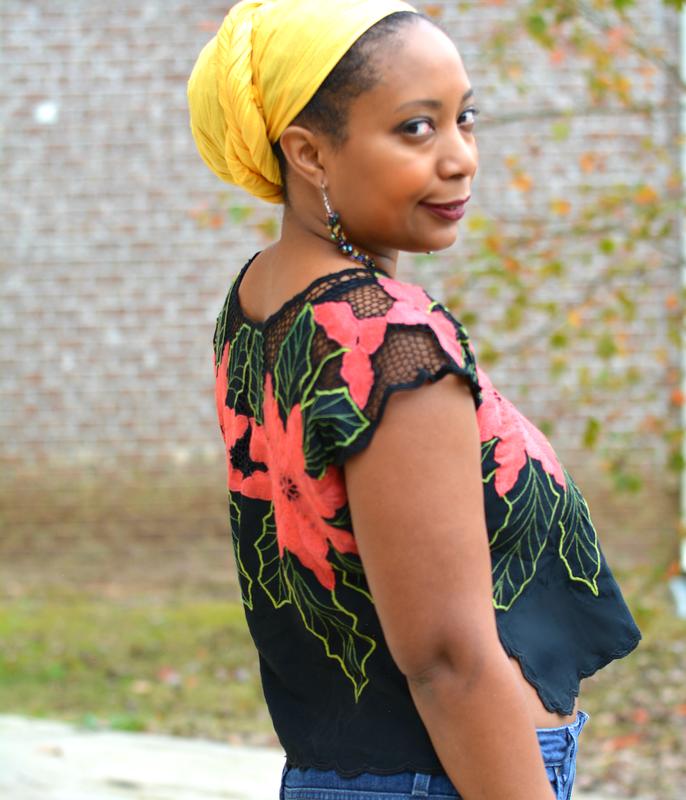 It's holiday festive with a little bit of edge from the fishnet detail at the neckline. I haven't done any loc maintenance in the while. My grey is popping out and looking like lint next to the magenta highlights. My solution and saving grace for the past week has been my fabric stash. I wore the ankle boots 90% of the time last year. Easy to slide on and off. They have a slight heel that doesn't cause pain. I grocery shop in them and go galavanting around town in them. They match everything. Worth every penny of the retail price.